Brand new with tags. In perfect condition, never used. 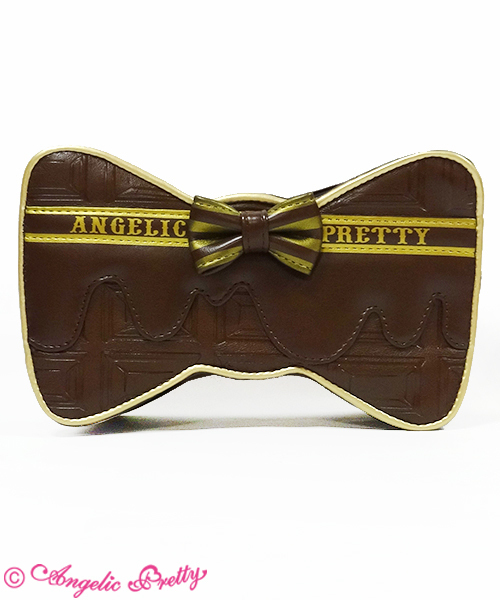 Brown chocolate design bag in a cute bow shape. Has a gold chain strap and gold bow zip pulls. ♡ Payment by Paypal, to be invoiced in $USD for convenience. Please message me first if you wish to pay by any other currency. ♡ Items are shipped using Royal Mail postal services and do not include tracking as standard, so please message first if you wish to use an upgraded shipping service. Items will be shipped once payment is received, I can only post on weekends so there may be a few days delay. ♡ I will hold items for 2 weeks upon request, if payment is not received by the end of the two week period the item will be relisted. ♡ I can offer payment plans on the following terms. A 25% non-refundable deposit is required, with the remaining amount to be paid within 90 days of the initial deposit. If full payment is not received by the end of the 90 day period the item will be relisted. Deposits on unpaid items will not be refunded.